It’s amazing to me how much time can be spent obsessing over gear. Maybe for better or worse, but I’ve talked with tourers who have flown to their start point, walked into a bike shop, bought the few items you truly need (bike and a gear carrying system) and rode away. Being I intend to use my gear for a while I usually am ok with spending a little more for nicer things, however I guarantee you can tour with most of the things you probably already own. The biggest purchase of course is the bike. I am riding a Surly Long Haul Trucker for this trip. I was on the fence between this bike or something mountain bike-ish so that I could possibly adventure onto some single track. In the end I chose the more pavement efficient bike. I worked with Tobie at North Central Cyclery in Dekalb Illinois to set up my ride. He had great pointers and overall I was very satisfied with the bike he helped put together. I invested in Arkel waterproof panniers, but most non-waterproof panniers have covers that can be used should it start raining (it will rain). 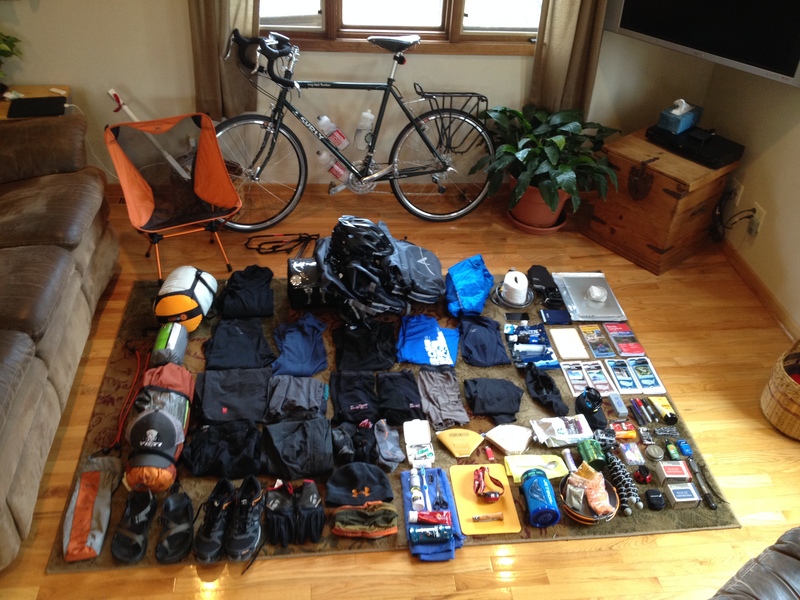 Below is almost the entire gear pile laid out prior to the trip. 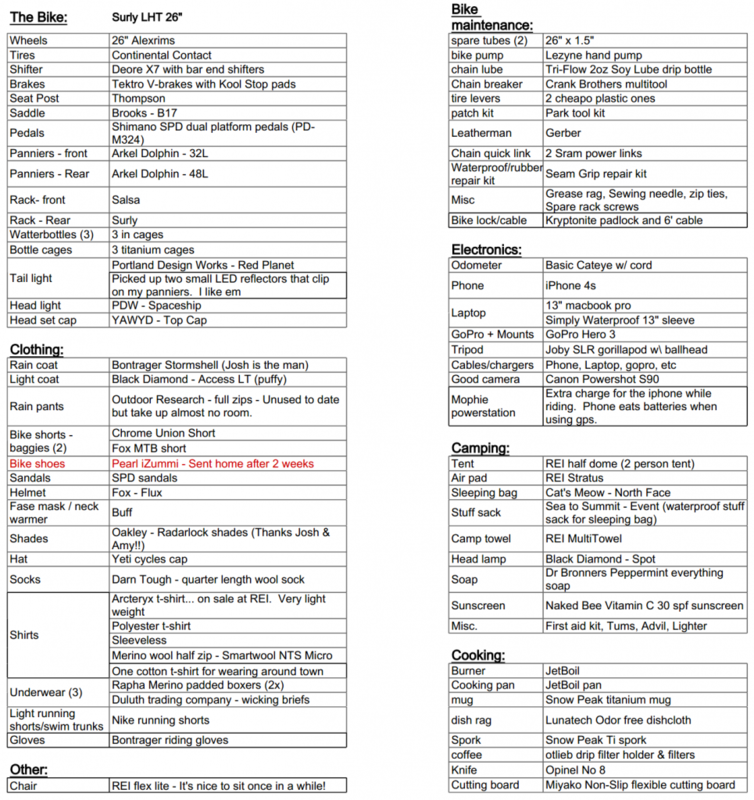 At the bottom of the page I included a screenshot from my gear spreadsheet. Those who know me know I’m a spreadsheet guy. After having completed a long tour I can definitely say that I would pack less next time around. To read about some gear rants and a summary of my trip across the US, click here.